In many UK marriages it is not unusual for one spouse to assume responsibility for the family finances during the life of a marriage and seldom do both spouses have equal knowledge of the couple's financial affairs. As a result the spouse that minds the money can sometimes have an unfair advantage which can be used to achieve a more favourable settlement for themselves. If it has been a long marriage then the spouse in control of the money may have, over years, squirreled away, often quite large sums of money out of reach of his or her spouse which they will later use after the divorce. It is not unusual for those with higher income, contemplating divorce, to attempt to hide, transfer or defer income or assets in anticipation of the formal decision to divorce. The spouse may accomplish this by withdrawing from accounts, the family business, manipulating receipts and expenses transferring cash to other individuals or third parties, or by deferring the receipt of a bonus or other compensation until after the divorce is settled and in some cases intentionally reducing the profitability of the business. 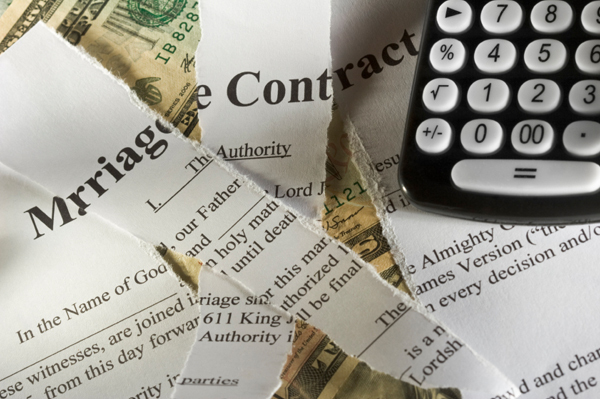 It is no surprise then that financial issues are among the most contentious of divorce cases. Discussing finances in divorce can be complex and consume most of the effort and attention of the parties. Forensic Accountants possess unique skills that allow them to provide valuable support to divorcing spouses and their lawyers. While lawyers have traditionally engaged accountants to assist with general financial issues related to divorce, lawyers are increasingly relying upon Forensic Accountants to provide more in-depth forensic services beyond maintenance payments and child support calculations and employing the expertise of a qualified Forensic Accountant can make a considerable difference in the outcome for your client. Through an examination of financial records, a Forensic Accountant plays a vital role in uncovering hidden or transferred assets and income that directly impact both support and equitable distribution. Forensic Accountants are uniquely qualified for this role because of their knowledge and experience in financial document analysis, accounting principles and auditing techniques. A forensic investigation is advisable where one spouse suspects the other of concealing income or assets or when there is not other way to find out where the money has gone. Detecting hidden, transferred or deferred income can be difficult; however Forensic Accountants have the expertise and effective techniques for uncovering such income. An examination of the family's lifestyle to determine if the level of reported income is sufficient to support the family's expenditures, an examination of the couple's net worth at two or more points in time to determine whether the reported income during the period is consistent with the change in net worth, and an analysis of bank deposits. Locating hidden income and assets has limitations and are not appropriate in all circumstances. While the discovery of unreported income can be extremely beneficial to the dependent spouse, it can also lead to serious adverse tax consequences, which should be considered when deciding how to utilise the information obtained through the investigation. In many situations, counsel may find that the identification of unreported income can be a very effective tool in negotiating a favourable settlement. HM Revenue are now looking into all Divorces, especially those where there are alleged to be “Offshore Assets” or “High Net Worth’s”. In one case recently the Husband has £12 Million in hidden assets according to the ex Wife. It was found that the assets and revalued them at £6 Million for the wife to obtain 50%. However, HMRC then investigated how the husband had accumulated these assets; and why they were not declared. In another, the wife claimed and proved that the life style was “Champagne and Cars”. HMRC wanted to honour how he lived that life style on a mere “£30,000 especially as he was in a “Cash Business””. Using a Forensic Accountant is not cheap so you need to weigh up the costs of employing one. However if your suspicions are correct the reward will generally exceed the money invested in fees and costs.